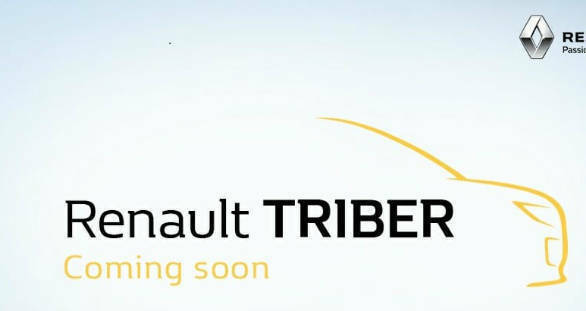 Renault India will call its compact SUV the Triber, expected to launch by July this year. The car has been designed and developed entirely in India in accordance with the brand's push towards developing cars locally. 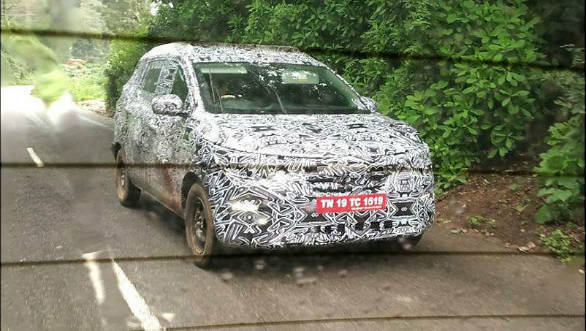 The car is likely to fit into the space below the one occupied by cars like the Tata Nexon and Maruti Suzuki Vitara Brezza. The RBC will be based on a modified version of the CMF-A platform that underpins the Renault Kwid. The wheelbase will be longer than the Kwid's and we expect a slight increase in width as well. The front and rear overhangs are quite short in an attempt to maximise interior space. While the car is wrapped thoroughly in camouflage paper, a close look gives an idea of what the front end would look like. The headlamps, for instance, appear to be quite large, flanking the cascading grille with the Renault lozenge in the centre. The top variant will get LED DRLs that have been placed above the fog lamps. The interior should be similar to the Kwid's with a similar set of equipment as well. Power will most probably come from the Kwid's 1.0-litre three-cylinder motor which makes 68PS and 91Nm, paired with a five-speed manual or AMT. Although, it might also make sense for Renault to equip the car with the 1.2-petrol from the Renault-Nissan line. This engine powers the Micra and puts out 77PS and 104Nm. Also, given the more heavy-hauling this car is expected to do, a reworked diesel unit based on the 1.5-litre K9K motor would make perfect sense. 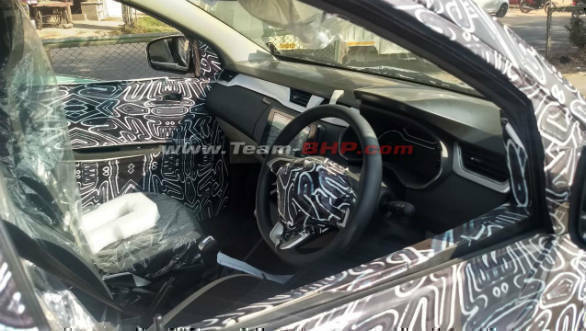 As some spy shots have shown, the interiors are quite a departure from what we have seen in earlier Renault cars. The dashboard is trimmed in silver and grey and has a blocky, geometric theme to it, dominated by a large touchscreen infotainment, like the one seen on the new Nissan Kicks. There is a smattering of chrome throughout, in the centre console as well as the instrument cluster. There is a three-spoke steering wheel, fabric seats and a two-part glove compartment. This version seems to be a top-spec model, having electric outer mirrors. Renault recently confirmed that it would focus on its core models in India to gain more sales. This vehicle follows that strategy. The Kwid had impressed buyers with its space, feature list and value. The new MPV will hope to be as appealing.